Earlier this month, the iMiller Public Relations (iMPR) team travelled to Chicago where they were hard at work supporting clients at International Telecoms Week (ITW) 2018, the wholesale telecommunications industry’s largest annual event produced by Capacity Media. This year, the iMPR team supported more than 20 companies in attendance at the event, including 1025Connect, Aqua Comms, Bluebird Networks, Chayora, DataGryd Data Centers, Deep Blue Cable, Digital Realty, EdgeConneX, EdgeCore, ENTER, Flexential, FiberLight, GTT Communications, Infomart Data Centers, LINX, MOD Mission Critical, PacketFabric, ROOT Data Center, ServerFarm, Unitas Global, ZenFi, and ZenLayer. iMPR assisted clients with a wide range of strategic marketing services, including event planning and execution, media relations, social media communications, digital marketing, and content development. iMPR attends several industry events throughout each year to support clients wherever help is needed. In order to ensure a seamless experience, the team dedicates a considerable amount of time and energy to strategic planning before each event, ensuring that clients are fully prepared to achieve maximum success and ROI. After nearly six months of rigorous preparation and daily communication with clients, colleagues, vendors, media analysts and event coordinators, iMPR was ready to take on ITW 2018. The iMPR team arrived in Chicago one day prior to the kickoff of ITW to address last minute preparations. 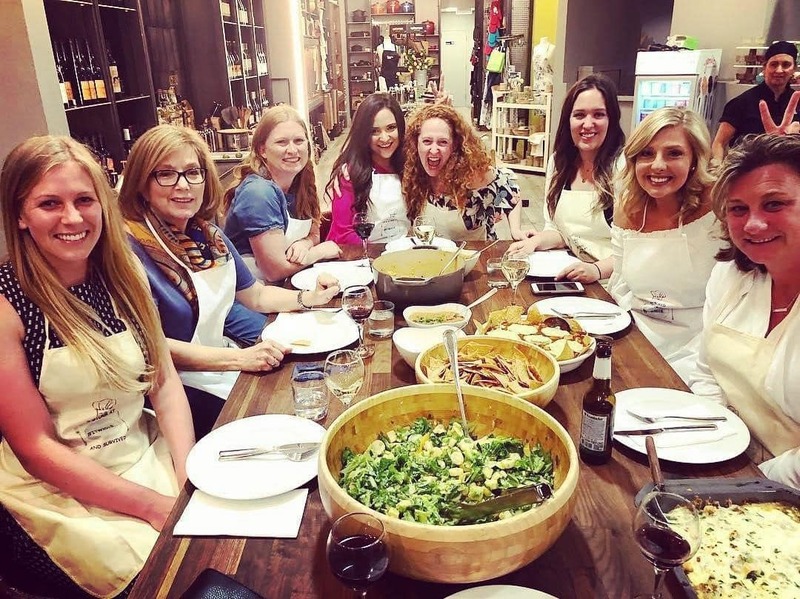 Before the real work began, the team enjoyed a relaxing dinner at The Chopping Block, taking a moment to spend time together as they anticipated a busy week ahead. Ten iMPR employees were on site throughout the duration of the event, attending meetings, panel discussions, media briefings and interviews while providing additional event services as necessary. In addition to supporting its clients, iMPR was responsible for producing and managing the fourth annual ITW Press Room, which attracted 17 unique media organizations and hosted more than 50 meetings. Be sure to look out for iMPR’s upcoming follow-up blog to learn more about the success of this year’s ITW Press Room. 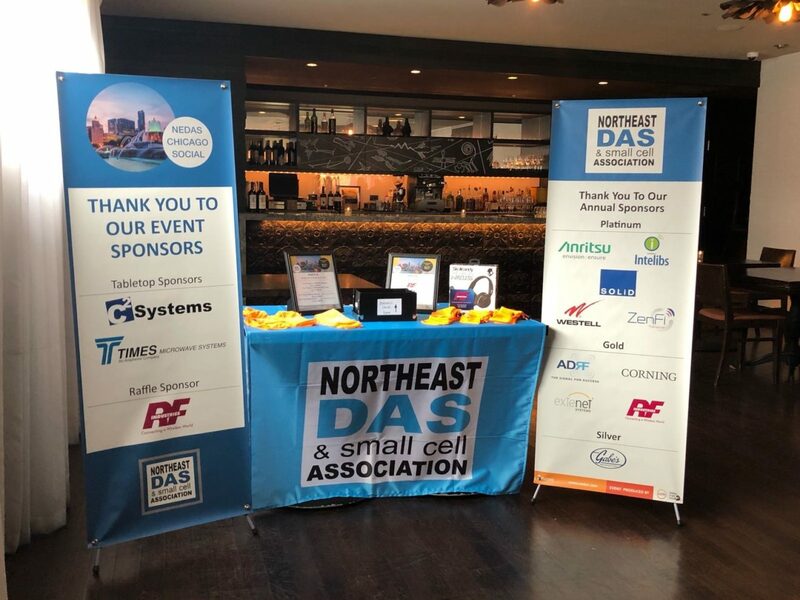 Closing out the week, the iMPR team provided event support for an industry social produced by the Northeast DAS & Small Cell Association (NEDAS), an organization owned and managed by iMiller Public Relations. Hosted by C2 Systems, Times Microwave Systems and RF Industries, NEDAS’ first-ever Chicago event attracted nearly 60 new participants from throughout the DAS, small cell and wireless communities where they networked and engage with friends, colleagues and new contacts in a casual and relaxed setting. Ultimately, iMPR’s clients’ success at the event was a result of the collective effort of the agency’s team, both those on site and at home. iMPR will continue to provide event support services at multiple conferences throughout 2018 with the same passion and dedication displayed in Chicago, and looks forward to serving its clients again next year at ITW 2019. For more information about public relations and marketing support from iMPR, including event services, strategic communications, media relations and content development, please email pr@imillerpr.com. To learn more about NEDAS and its upcoming Boston Symposium and NYC Summit, visit www.nedas.com.